(NaturalNews) In order to make plastics pliable and thermal receipt paper printable, certain chemicals have to be added to the mix that a growing body of research shows can damage the human endocrine system and cause other serious health damage. And some of the latest research on this subject warns that a popular alternative to bisphenol A (BPA), the infamous plastics chemical that manufacturers are actively phasing out of their products, may inhibit the development of brain cells and promote hyperactivity. 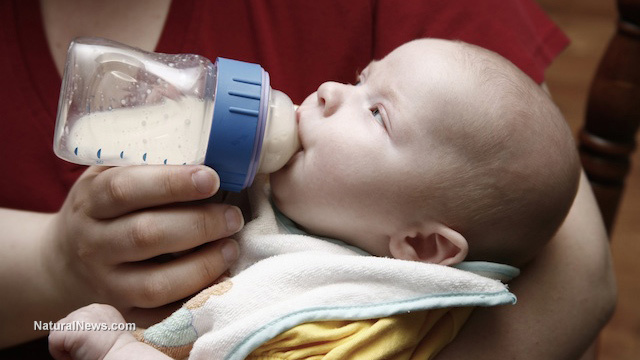 Researchers from the University of Calgary in Canada found that bisphenol S (BPS), a chemical that some had hoped would be a safer alternative to BPA, causes abnormal growth surges in brain neurons. After testing the chemical on zebra fish, which share 80 percent of their genes with humans and are considered to be an appropriate model for assessing how a substance will affect people, it was determined that BPS specifically targets male hormones, much like BPA. Published in the journal Proceedings of the National Academy of Sciences (PNAS), the study notes that fish embryos exposed to BPS experienced abnormal growth of brain cells. Much like BPA, BPS was found to inhibit the healthy production of male hormones as well, resulting in certain neurodevelopmental disorders like hyperactivity and autism that particularly harm young, developing children. Not only was BPS found to be harmful, but the data suggests that it may, in fact, be more harmful than BPA. Its biological effects, particularly on pregnant women, suggest that permanent damage may occur as a result of constant exposure -- even at very low levels. And this is only just now being discovered because, believe it or not, BPS had never previously undergone human safety testing. "A lot of the alternative chemicals have not been adequately tested because they don't have to be," stated lead study author Deborah Kurrasch, as reported by The Washington Post. "A compound is considered safe (by the Food and Drug Administration) until proven otherwise." Much like BPA, BPS is being found in and on nearly everything these days, including receipts, paper money, recycled paper -- this includes seemingly sanitary paper products like paper towels and toilet paper -- drinking containers, baby "sippy" cups and many other consumer products. Avoiding it is difficult, in other words. Worse is the fact that low-level doses of BPS may be more harmful than higher doses, which is also the case with BPA. In a 2012 report titled "Hormones and Endocrine-Disrupting Chemicals: Low-Dose Effects and Nonmonotonic Dose Responses," researchers from Tufts University explain how endocrine-disrupting chemicals, or EDCs, challenge traditional concepts of toxicology. Countering the popular "dose makes the poison" ideology, EDCs show certain harmful effects at low doses that aren't necessarily observed at higher doses. These health effects are copiously outlined in the scientific literature, highlighting the fact that low-dose EDC exposure simply can't be ignored when it comes to considering the public health impacts of their use. "I think this is a very important paper that gives evidence that compounds like BPA and BPS have very detectable effects at low dosages on developing vertebrates," stated George Bittner, a professor of neurobiology and pharmacology at the University of Texas at Austin. "Whether low doses of endocrine-disrupting compounds influence human disorders is no longer conjecture, as epidemiological studies show that environmental exposures are associated with human diseases and disabilities."